The Simple way for Anyone to Change a Car Battery! 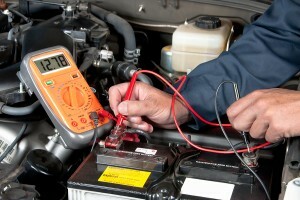 Your car’s battery has an average lifespan of between 4 and 6 years. To make sure that you don’t waste time and money, ensure your battery needs to be changed before you begin. This entry was posted in Advice and tagged Battery Flat, Car Battery, Replace Battery, Service on March 18, 2014 by AdminVech.